Is the Date of Easter Related to Passover? A Greek or a Roman Revolution? What Would You Do If You Had More Money? CATECHESIS 72: On the Saving Passion; and Teaching on Humility and Patient Endurance. Given on the Wednesday of Holy Week. Brethren and Fathers, the present day is holy and to be venerated, for from this day the Lord begins to take on himself the sufferings of the Cross for our sake, in accordance with David’s words: "Why did the nations rage and the peoples imagine vain things? The kings of the earth rose up and the rulers assembled together against the Lord and against his Christ" [Psalm 2:1-2]. They assembled together to plot an evil plan against the Master. The deceitful Judas denied him utterly and betrays the teacher with a deceitful kiss. The Lord of all things is led away prisoner, stands before the judgement seat, is interrogated and answers; and when He answers — O fearful report! — He is struck by a slave and bears it with longsuffering, saying: "If I have spoken evil, give testimony to the evil; but if well, why do you strike Me?" [John 18:23]. Then He is scoffed at, mocked, jeered at, ridiculed, spat at, buffeted, scourged. He ascends the Cross, and when He has ascended He prays for His murderers: "Father, forgive them their sin, for they do not know what they do" [Luke 23:33]. Then He is given gall with vinegar to drink, He is pierced by a lance, the Immortal is put to death. These in brief are the Master's sufferings, and one who hears them with understanding is not angry, or embittered, or enraged, or puffed up, or arrogant towards his brother; is not envious, or filled with vainglory. Rather he is humbled, crushed, considers himself to be earth and ashes, desires communion in Christ's sufferings, is eager to be conformed to His death, so that he may have a part in the glory of His resurrection. But you too take courage, because you have shared and are sharing in the Master's sufferings. For you see where you are. Is it not for the sake of His word and His testimony that you are in exile and persecution? Have you not previously experienced prison? Have you not shed your blood under tortures? Have not some of our brothers died a martyr's death? Such then is our boast in the Lord, such our gift. But since until the end beatitude is not assured because of the ease of reversal and the impossibility of knowing what the morrow will bring to birth, stand your ground unflinching and unmoving in the Lord "striving side by side with one spirit and one soul for the faith of the Gospel, in no way intimidated by your opponents" [Phil. 1:27-6], "not giving offence in anything, but in everything recommending ourselves as God's ministers" [2 Cor. 6:3-4], by obedience, humility, meekness, longsuffering, great endurance. "For you need endurance in order to do God's will and obtain the promise. For in a little while He who is coming will come and not delay" [Heb 10:36-37]. But if He will come and not delay, why do we hate being in afflictions and do not rather choose to die each day for the Master? For it is written: "If we have died with Him, we shall also live with Him; if we endure, we shall also reign with Him; if we disown Him, He will also disown us; if we are unfaithful, He remains faithful; He cannot disown Himself" [1 Tim. 2:11-13]. How great joy the saints will have when they see the Lord "coming from heaven with the angels of His power" [2 Thess. 1:7], inviting them with inexpressible joy, crowning them and becoming their companion for ever and ever? What anguish will they have who have disobeyed the Gospel and transgressed His commandments? "They will suffer the penalty, as it is written, of eternal destruction, cut off from His presence and from the glory of His strength, when He comes to be glorified in His saints and marvelled at among all who have believed" [2 Thess. 1:9-10]. And so, brethren, as we contemplate and think on these things, again and again "let us purify ourselves from every defilement of flesh and spirit, perfecting holiness in the fear of God" [2 Cor, 7:1], zealous for what is better, striving for what is more perfect, "hating what is evil, holding fast to what is good, loving one another with brotherly affection, outdoing one another in showing honour, not lagging in zeal, being ardent in spirit, serving the Lord, rejoicing in hope, patient in affliction, persevering in prayer" [Rom. 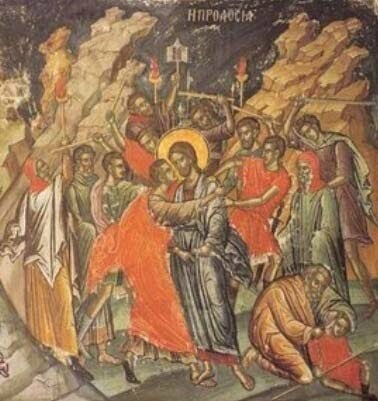 12:9-12], that by such sincerity we may worthily celebrate the imminent Pascha, and be counted worthy to enjoy the eternal blessings in Christ Jesus our Lord, to whom be glory and might with the Father and the Holy Spirit, now and for ever, and to the ages of ages. Amen. 1. These Catecheses were given when St Theodore and his monks were in exile from Constantinople in the reign of Michael II (820-829). 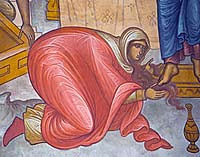 In the Gospel and hymns of the Church for Holy Wednesday, we hear about the sinful woman who broke an alabaster box of costly ointment, wept at Jesus’ feet, and dried them with her hair. She broke the box – i.e. saved nothing for herself – and poured it out as her offering. It cost 300 denari, which was 300 days’ wages! This latter fact enrages the disciple who sits in a place of honor next to Jesus and manages the money - the notorious Judas. The hymns of Holy Week tell us even more about the contrast between these two, being quite explicit as to where the woman came from just then, and the background of Judas. Make no mistake: Judas was an Apostle and had the gift of healing. Yet still he was more interested in worldly things, could not look up from temporary concerns, and had no horizon of vision. He would later even partake of Holy Communion in an unworthy manner and become demon possessed. The sinful woman understood what Judas did not: Christianity is about healing. Not just temporary healing, but from man’s biggest problems: egotism, sin and death. The great paradigm of Orthodoxy is not that of righteous/sinful, but of healthy/sick. All of us need healing. This is our primary Christian aim, and is evidenced by the fact that even Jesus implies it is of greater importance than giving our riches to the poor and needy. The social gospel had taken such a hold of the disciples of Jesus that they forgot what is even more essential. The sinful woman shows her great love by her humble offering, and not only received healing by the Physician of our souls, but has become an example for all time for what the Lord truly seeks from His disciples. It is for this reason that the Church, guided by the Holy Spirit, has as a tradition the celebration on Holy Wednesday of Holy Unction in the churches. This service is filled with references to this central message of the day - that Christ came to heal our fallen sinful condition through the sacrifice He made on the cross and the destruction of death through His death. It is within this total context that we should attend the Service of Holy Unction, which is a great mystery of the Church that allows us to be healed by the very hand of Christ when the priest anoints us with the holy oil. As the sinful woman was offering myrrh, the disciple was making terms with the lawless. She found joy pouring out what was precious; he hastened to sell out the priceless One; she acknowledged the Master, he cut himself off from the Master; she was set free, he fell slave to the enemy. What unspeakable callousness! How great the repentance! Grant me this, O Savior who suffered for us, and save us. For a more thorough treatment of the Holy Unction service and other prayers of healing in the Orthodox Church, read Sin, Sickness, and Salvation by Archpriest Chad Hatfield. - As the Lord was coming to His voluntary passion, He said to His Apostles on the road, ‘Behold, we are going up to Jerusalem, and the Son of man will be betrayed, as it is written of Him’. Come then, let us too, with minds made pure, journey with Him, and let us be crucified with Him, and for His sake become dead to the pleasures of life, that we may live with Him and hear Him as He cries, ‘I am no longer going up the earthly Jerusalem to suffer, but to My Father and your Father, and to My God and your God. And I shall raise you up with Me to the Jerusalem above, in the kingdom of heaven’. "So you also are now in anguish. But I will see you again, and your hearts will rejoice" (John 16:22). The father steps up to the gallows and his sons are crying around him. Instead of the sons comforting him, he comforts his sons. Something similar to this happened to the Lord and His disciples. Walking toward His bitter death, the Lord is more saddened because of the grief of His disciples, rather than by that which He has to endure. He caresses them with consolation and encourages them with the prophecy of the new and impending vision: "But I will see you again." This is a prophecy about the resurrection. Many times our Lord prophesied His death, but when He prophesied His death, He also prophesied His resurrection. Nothing unforeseen ever did happen to Him. He did not prophesy about Himself only, but also about them [the disciples]. They will be in great sorrow as a woman when she gives birth and endures pain. As a woman forgets her pain and rejoices when she gives birth "for a child has been born into the world" (John 16:22), so will it be with them. In their consciousness Christ the Lord was not completely in the form of the God-Man. As long as they had known Him as a sufferer and mortal man, they only knew Him partially; until then, the pain of birth lasts in their souls. But when they see Him again, resurrected and alive, miraculous and almighty, Lord over all things in heaven and on earth, the pain and sorrow will cease and joy will appear in their hearts. For Christ will be completely formed in their consciousness as the God-Man and then they will know Him in His fullness and in His totality. Only then will He be totally born for them. So with us brethren, as long as we know Him only from His birth to His death on Golgotha, we know the Lord Jesus partially. We will know Him completely only when we know Him as the Resurrected One, the Victor over death. O Lord All-victorious, have mercy on us and by Your resurrection cause us to rejoice as You comforted and made joyful Your disciples. Amen. 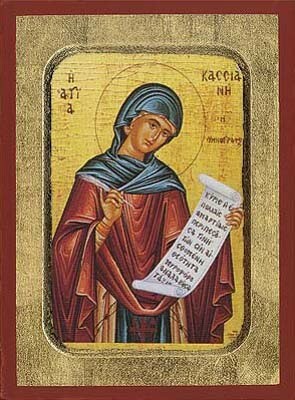 The troparion of Kassiani is very much beloved by our Orthodox people. Even people who never go to church come to hear it. This reveals the inspiration under which it was written, the passion of the sinful woman who repented, as well as the history of Kassiani who composed it. More so, in my opinion, its music moves the world, being slow and majestic, because the teachers of ecclesiastical music impressed it upon us with much love and care. Except who can say this for recent years. Now I can't understand what the majority of churches hear when they chant it, or better yet, when they sing it with an improvised manner, with a pretended type of European music, made by people without christian compunction and without any musical sensibilities, but with a dead false perception of music, which they dare say much better suits our times. 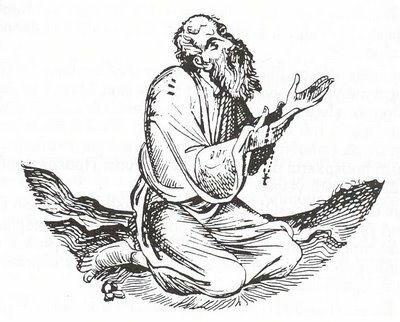 Thus the troparion of Kassiani, in many Greek churches, is chanted in an unfamiliar "modern" way. Every "modernized" chanter dresses poor Kassiani with any clothes that comes to mind, one masquerading her as an opera singer, another as a sentimentalist lady of oafish romantic tastelessness, and the majority as modern theatre: The Fine Arts, sir, go a long way today! The world asks for whatever is modern in the Church. Quackery has entered. And all these things are done out of fear that they won't call him an idiot and backward. Everything becomes a sacrifice on the altar of stupidity and false pride. 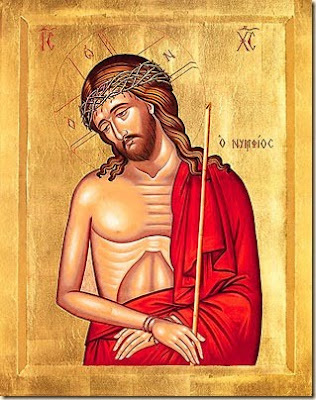 The Bridegroom of the Church is a humble and suffering Bridegroom. He is a Bridegroom who loves and sacrifices to the point of death so that His love may be received. We see in this icon that He is humiliated by people that did not love Him. His holy face is bloodied and turned to the right with pain and dignity. He is crowned with the valuable crown of martyrdom, with each thorn brutally devastating His divine face. A wonderful peace emanates from this icon, which teaches that ultimate and absolute pain is eliminated when love moves our choices and behavior. The logic of the world would say He looks pathetic, while the logic of the believer is moved to worship Him, because the believer understands that the pain of the Redeemer is the joy of the redeemed and the body and blood of the Righteous One is our food and the medicine of our immortality, irrigating His creation with His blood. Behold, the Bridegroom cometh in the middle of the night, and blessed is that servant whom He shall find watching; and again unworthy is he whom He shall find heedless. Beware, therefore, O my soul, lest thou be overcome with sleep, lest thou be given up to death, and be shut out from the Kingdom. But rouse thyself and cry: Holy, Holy, Holy art Thou, O God, through the Mother of God, have mercy on us. I see Thy bridal chamber, O my Saviour, all adorned, and a garment I have not that I may enter therein. Illumine the garment of my soul, O Giver of Light, and save me. O Bridegroom, whose grace surpasses all human beauty, Thou invitest us to the spiritual feast in Thy palace. Strip me of the coarse garment of my sin, and make me a partaker of Thy Passion. Clothe me in the glorious adornment of Thy beauty. In Thy mercy, accept me as a luminous guest at the banquet in Thy kingdom. "Bring more evils upon them, O Lord, bring more evils upon those who are glorious upon the earth." Someone asked me, "Isn't the hymn we chant during Great Lent: 'Bring more evils upon them, O Lord, bring more evils upon those who are glorious upon the earth' a curse? And if it is, why do we still chant it?" "When the barbarians are attacking," I replied, "and are ready to destroy a people just like that, and the people are praying that their enemies encounter obstacles, that their chariots break down and their horses get harmed, is that good or bad? That's what it means: that they may run into obstacles. It's not a curse." Of course, unless we are being attacked by an enemy, it is difficult to apply this prayer literally. In this case we should pray it in a spiritual sense that those who are glorious and successful upon the earth may be humbled by the Lord for the sake of their salvation. 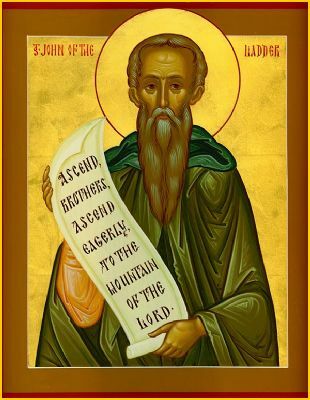 Saint John of the Ladder is honored by Holy Church as a great ascetic and author of the renowned spiritual book called The Ladder, from which he is also called "of the Ladder" (Climacus). There is almost no information about John's origins. 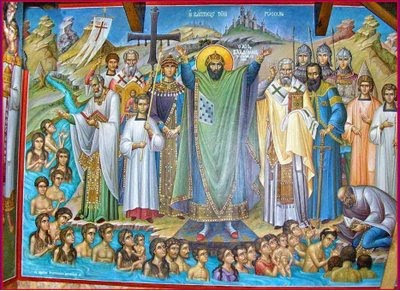 One tradition suggests that he was born in Constantinople around the year 570, and was the son of Sts. Xenophon and Maria (Jan 26). John went to Sinai when he was sixteen, submitting to Abba Martyrius as his instructor and guide. 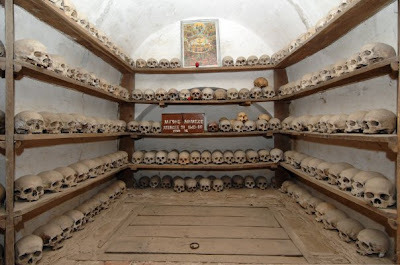 After four years, John was tonsured as a monk. Abba Strategios, who was present at John's tonsure, predicted that he would become a great luminary in the Church of Christ. For nineteen years John progressed in monasticism in obedience to his spiritual Father. 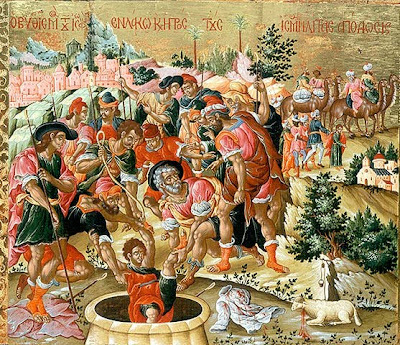 After the death of Abba Martyrius, John embarked on a solitary life, settling in a wild place called Thola, where he spent forty years laboring in silence, fasting, prayer, and tears of penitence. It is not by chance that in The Ladder John speaks about tears of repentance: "Just as fire burns and destroys the wood, so pure tears wash away every impurity, both external and internal." His holy prayer was strong and efficacious, as may be seen from an example from the life of the God-pleasing saint. John had a disciple named Moses. Once, the saint ordered his disciple to bring dung to fertilize the vegetable garden. When he had fulfilled the obedience, Moses lay down to rest under the shade of a large rock, because of the scorching heat of summer. John was in his cell in a light sleep. Suddenly, a man of remarkable appearance appeared to him and awakened the holy ascetic, reproaching him, "John, why do you sleep so heedlessly, when Moses is in danger?" John immediately woke up and began to pray for his disciple. When Moses returned in the evening, John asked whether any sort of misfortune had befallen him. The monk replied, "A large rock would have fallen on me as I slept beneath it at noon, but I left that place because I thought I heard you calling me." John did not tell his disciple of his vision, but gave thanks to God. 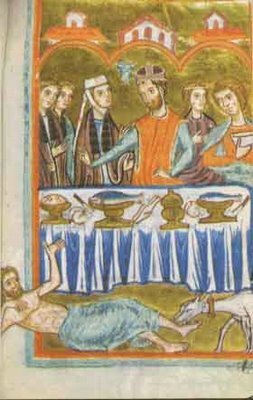 John ate the food which is permitted by the monastic rule, but only in moderation. He did not sleep very much, only enough to keep up his strength, so that he would not ruin his mind by unceasing vigil. "I do not fast excessively," he said of himself, "nor do I give myself over to intense all-night vigil, nor lay upon the ground, but I restrain myself..., and the Lord soon saved me." The following example of John's humility is noteworthy. Gifted with discernment, and attaining wisdom through spiritual experience, he lovingly received all who came to him and guided them to salvation. One day some envious monks reproached him for being too talkative, and so John kept silence for a whole year. The monks realized their error, and they went to the ascetic and begged him not to deprive them of the spiritual profit of his conversation. Concealing his ascetic deeds from others, John sometimes withdrew into a cave, but reports of his holiness spread far beyond the vicinity. Visitors from all walks of life came to him, desiring to hear his words of edification and salvation. After forty years of solitary asceticism, he was chosen as igumen of Sinai when he was seventy-five. John governed the holy monastery for four years. Toward the end of his life, the Lord granted him the gifts of clairvoyance and wonderworking. 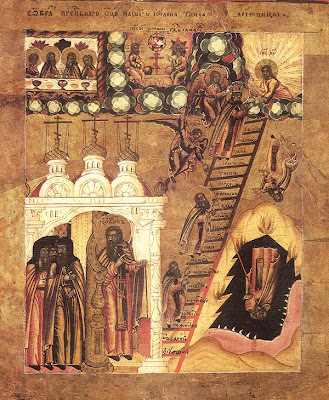 At the request of John, abbot of the Raithu monastery (Commemorated on Cheesefare Saturday), he wrote the incomparable The Ladder, a book of instruction for monks who wished to attain spiritual perfection. Knowing of the wisdom and spiritual gifts of John of Sinai, the abbot of Raithu requested him to write down whatever was necessary for the salvation of those in the monastic life. Such a book would be "a ladder fixed on the earth" (Gen. 28:12), leading people to the gates of Heaven. John felt that such a task was beyond his ability, yet out of obedience he fulfilled the request. The saint called his work The Ladder, for the book is "a fixed ladder leading from earthly things to the Holy of Holies...." The thirty steps of spiritual perfection correspond to the thirty years of the Lord's age. When we have completed these thirty steps, we will find ourselves with the righteous and will not stumble. The Ladder begins with renunciation of the world, and ends with God, Who is love (1 Jn. 4:8). Although the book was written for monks, any Christian living in the world will find it an unerring guide for ascending to God, and a support in the spiritual life. Sts. Theodore the Studite (Nov. 11 and Jan. 26), Sergius of Radonezh (Sept. 25 and July 5), Joseph of Volokolamsk (Sept. 9 and Oct. 18), and others relied on The Ladder as an important guide to salvation. "When I fast, I am vainglorious; and when I permit myself food in order to conceal my fasting from others I am again vainglorious about my prudence. When I dress in fine clothing, I am vanquished by vanity, and if I put on drab clothing, again I am overcome by vanity. If I speak, vainglory defeats me. If I wish to keep silence, I am again given over to it. Wherever this thorn comes up, it stands with its points upright. It often happens that God humbles the vainglorious, sending a sudden misfortune. If prayer does not destroy a proud thought, we bring to mind the departure of the soul from this life. And if this does not help, let us fear the shame which follows dishonor. "For whoever humbles himself shall be exalted, and whoever exalts himself shall be humbled" (Luke 14:11). When those who praise us, or rather seduce us, start to praise us, let us recall our many sins, then we shall find that we are not worthy of what they say or do to honor us." In The Ladder St. John describes the ascent toward spiritual perfection, which is essential for anyone who wishes to save his soul. It is a written account of his thoughts, based on the collected wisdom of many wise ascetics, and on his own spiritual experience. The book is a great help on the path to truth and virtue. The steps of The Ladder proceed gradually from strength to strength on the path of perfection. The summit is not reached suddenly, but gradually, as the Savior says: "The Kingdom of Heaven suffers violence, and the violent take it by force" (Mt.11:12). St. John is also commemorated on the Fourth Sunday of Great Lent. 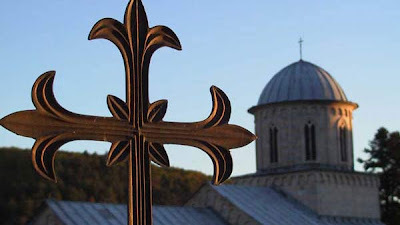 Moscow, 30 March 2010, Interfax - The percentage of Orthodox believers went up from 70% to 75% in Russia in 2009, reaching the highest level since the beginning of measurements, the All-Russia Public Opinion Research Center told Interfax. When asked about their religious affiliation, 5% of the respondents named Islam (from 7% the year before), and less than 1% named Catholicism, Protestantism, Judaism, and Buddhism. The number of atheists in 2009 went down to 8% from 16% in 2006. The overwhelming majority of Orthodox Russians (84%) have been baptized. At the same time, over one-third of those who consider themselves atheists (39%) have also been baptized. The poll shows that the percentage of those who have read the Bible and have not read it is equal (49%). The percentage of those who are familiar with the contents of the Holy Scripture is the highest among older people (60%), highly educated respondents (57%), and Orthodox believers (54%). Two-thirds of Russians (66%) perform religious rituals. However, 27% of the respondents said they only do so on holidays and 28% said they do so occasionally. This figure is higher among Orthodox believers (73% of the respondents who consider themselves Orthodox believers follow religious traditions). The percentage of those who do not perform religious rituals has gone down to 32% from 37% in 2006. One-fourth of the respondents said they believe new people are being converted to religion. One out of five Russians believe people have simply stopped hiding their religious feelings, 16% believe it is just an outward trend, and 17% said they are not noticing any changes in people's religious feelings. The poll was conducted on January 23-24. It surveyed 1,600 people living in 42 regions, territories, and republics of the Russian Federation. This monk was lazy, careless, and lacking in his prayer life; but throughout all of his life, he did not judge anyone. While dying, he was happy. When the brethren asked him how is it that with so many sins, you die happy? He replied, "I now see angels who are showing me a letter with my numerous sins. I said to them, 'Our Lord said: Judge not and you will not be judged (Lk. 6:37). I have never judged anyone, and I hope in the mercy of God that He will not judge me.' And the angels tore up the paper." Upon hearing this, the monks were astonished and learned from it. "I have not seen these things, nor can I ever know them; I will never have the power to reach and rise up to the height of this knowledge, contemplation and cleanness." "If someone won’t become like this, that is, to put on Christ and see Him as God in this life, and take Him to dwell in himself, then one won’t enter in His Kingdom. Of what use, then, is it to me to fight, even a little, or even to lose the current pleasures?" Don’t say this; don't even think about it, but if you wish, listen to my advice and I will announce to you the way of salvation, with the help of the grace of the All-Holy Spirit. First of all, believe with all your soul that whatever we said according to the divine and God-inspired Scriptures, are all true, and that whoever believes in the Son of God has to become this, because He granted us power to become sons of God, and if we want it, nothing can stop us... For it is certain, that if you won’t believe in these, that they happen indeed this way, you won’t ask for them to happen at all, and if you won’t ask you won’t receive. Because He says, "Seek, and ye shall find, ask, and it shall be given you" (Matt. 7:7). If you believe, follow the divine Scriptures and do what they say and you will find everything without exception as it is written - rather, you will find much more than what is in the godly Scriptures. And what are these? "What eye hath not seen, nor ear heard, neither have entered into the heart of man", the gifts "which God hath prepared for them that love him" (1 Cor. 2:9). These gifts, if you believe with certainty, as we said, you will see, without any doubt at all, just as Paul, so you too - and not only this, but you will also hear ineffable words, since, as you understood, you will be seized to Paradise, even now. Which Paradise? Where the thief entered together with the Christ, and there now remains. Although the modern state of Israel, having been established, has the right to exist like any other nation, Israel must also respect the Palestinians' right to their land in the West Bank. But, Israel keeps building Jewish settlements in the West Bank. That is the main reason why the majority of Palestinians continue to support the radical organization Hamas. The only reason why Israel finally got out of Gaza was because of Hamas' successful attacks on Israeli settlements in Gaza. Otherwise Israel would have continued building settlements in Gaza indefinitely. In the West Bank, however, Israel methodically continues to confiscate Arab land to build Jewish settlements. More and more Palestinians in the West Bank lose their property and homes every year because of this. Most Palestinians would stop supporting Hamas if only Israel completely withdrew from the West Bank as it did in Gaza. Then, perhaps, Palestinians would agree to recognize Israel. Let Israel try this and then if the majority of Palestinians still won't recognize Israel and continue to support terrorist attacks against Israel, no one will blame Israel for re-taking the land back and even annexing it. U.N. resolutions demand Israel to withdraw completely from the West Bank. The United States made a big noise under President Bush about applying U.N. resolutions on Saddam Hussein when he was in power. Why doesn't the United States make a big noise about applying U.N. resolutions to Israel? Unlike Hamas, the Palestinian Authority is willing to recognize Israel and work with Israel, but Israel's continued occupation of the West bank and expansion of Jewish settlements on Arab land exacerbate the situation and cause the majority of Palestinians to support Hamas instead of the Palestinian Authority. In 1967 Israel went to war in self-defense and captured Arab land. Israel was right in defending itself. However, the issue now is no longer so much self-defense. The problem is that Israel will not pull back to its pre-1967 borders so long as many Israelis and most evangelical Christians in America continue to believe that present day Jews have a biblical right to all of Arab territory in Palestine. For this reason a biblical examination of the issue is necessary. Although the modern state of Israel now has every right to exist as any other nation (as long as it honors the UN resolutions upholding Palestinian rights) this does not mean that Zionism (the belief that Jews have a biblical right to all of Palestine) is correct. And it is Zionism that is primarily fuelling the building and expansion of illegal Israeli settlements on Arab land. The last time God had promised in the scriptures to bring the Jews back to their ancestral homeland was fulfilled centuries ago when He brought them back from their Babylonian captivity. Thus, the Jews in present-day modern Israel are not a fulfillment of that ancient promise. Furthermore, God's promises concerning the land to the Jews in the Old Testament were conditional - only so long as they continued to obey Him were those promises concerning the land binding (read Deuteronomy 28). In any case, as I have already noted, God fulfilled his promise concerning the land to the Jews centuries ago. The New Testament refers to the Christian church as the "Israel of God" (Galatians 6:16). There is good reason to believe that some of the Old Testament descriptions of God's future dealings with Israel are already being fulfilled spiritually in and through the Christian church which is made up of both Jew and Gentile believers in Christ inheriting the same (not different) promises. The modern state of Israel, now that it has been established, has every right to exist, but Israel should also be made to uphold the UN resolutions concerning Palestinian inalienable rights. Unlike before, almost all Arabs, including Palestinians, now recognize Israel's right to exist or, at least, will not wage war with Israel if Israel completely withdraws to its pre-1967 borders. But, what Palestinians and other Arabs cannot live with is Israel's continued occupation of the West Bank and Israel's continued building of settlements there. Most Palestinians will stop their resistance and even go after the terrorists themselves if Israel simply gets out of their way (the West Bank) and that is the best way for Israel to stop the resistance and preserve its security and peace - not to mention the security and peace of others. 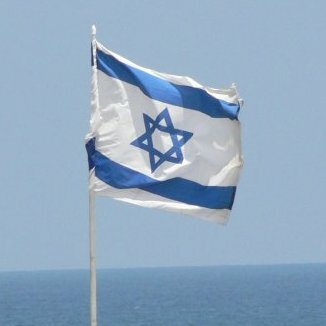 As one writer points out: "Israel was created (in the beginning) not by force of arms or military invasion, but terrorist activity advocated by Jewish immigrants, in an effort to get rid of the British Administration (the lawful government of the day, as sanctioned by the predecessor to the U.N). Britain abandoned its mandate and Israel was created by the U.N."
Any solution to the present crisis must also involve monetary or financial compensation being made by Israel to Palestinian families who have had their homes and lands seized and taken away during the formation of the modern state of Israel in the 1940's. (According to the U.N. resolution 194, Palestinian refugees have the right for compensation and repatriation). During that time Palestinian families suffered huge atrocities at the hands of Jewish immigrants, including many pregnant Palestinian Arab women having their wombs ripped open and their babies slaughtered before their very eyes. This was one of the many horrible crimes committed against Palestinians, even by such notable political figures as former Prime Minister of Israel Menachem Begin, and the Palestinians should be compensated by the modern state of Israel for these crimes. That is only right. The terrorism committed by Jewish immigrants against Palestinian Arabs in the late 1940's is a major reason for why many Palestinian Arabs fled their homes and land and became refugees. That is why it is very important to understand that there is no biblical basis for modern Zionism. If America insists Israel must be fair to Palestinians it will not only help achieve peace in the Middle East but also will reduce Muslim extremism, and even terrorism, against the United States. There is a great deal of factors that may cause cancer, and not all of them are known. Yet, doctors know some of them very well. Bad nutrition is one of them. Out of all vegetable, cabbage is especially rich in specific anti-cancer substances that block the development of the disease at all stages. They suppress the activity of the genes responsible for cancer development, prevent damage to healthy genes and decrease the ability of timorous cells to grow. Brussels sprouts and broccoli are especially beneficial. Some independent research studies conducted in Denmark, Great Britain and Finland showed that even a small portion of broccoli (100 grams a day) is enough to lower the risk of prostate and lung cancer. Brussels sprouts are also rich in calcium, sodium, phosphor and iron. 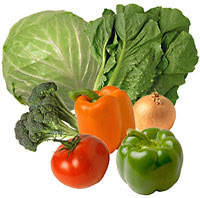 Both these vegetables are capable of preventing primary damage to genes causing cancer development. Garlic is particularly good for preventing colon cancer and decreases the risk by 70%. Garlic is best consumed raw. Before consumption it is recommended to finely chop it and let it “breath” for 10 to 15 minutes. Tomatoes contain a special anti-cancer pigment also contained in red bell pepper. Tomatoes are good in any way, fresh, as ketchup, tomato paste, juices and even sauces. Research revealed that consumption of tomato juice on a daily basis for a month lowers the risk of prostate cancer by 20%. Blueberry has been long ago recognized as a miracle berry in all respects. Thanks to high concentration of antioxidants it protects all cells in the body from destruction, and its dark blue segment (also found in bilberry) enhances eyesight and prevents eye diseases. Blueberry and raspberry contain ellagic acid that deprives focus of disease nutrition and ability to survive. Green tea is one of the leaders in terms of antioxidants as well as a depository of the most important anti-cancerogenic substance, epigallocatechin gallate. The substance prevents tumor growth and decreases the risk of their appearance. Daily consumption of 5 cups of green tea a day decreases chances of breast cancer. It is believed that adding milk or any diary product to tea weakens its antioxidant features. The most favorite Indian spice, curry, provokes health loss and restrains growth of cancerous cells. This effect is made possible by curcuma, to be more exact, its fragrant component curcumin. The scientists that made the discovery (in Tohohu University, Japan) were astonished by the discovered effect and decided to synthesize curcumin and were successful. The substances they obtained were more resistant and can affect cancer cells even more efficiently. In the years to come, the substances may be used to produce medication. Benefits of moderate alcohol consumption have been proven long time ago. British cardiologists came to a conclusion that daily (albeit small) doses of wine reduce the risk of cardiovascular diseases and related deaths. US physiologists are convinced that women who regularly consume red wine are on average skinnier than non-drinking women. Eighteen months ago American Society for Cancer Research declared that weak alcohol had certain benefits. For example, every glass of white wine (assuming consumption of no more than 2 glasses per day) reduces the risk of lung cancer by 2%; and during chemo therapy antioxidants contained in wine protect healthy cells from radiation damage. “65% or more of cocoa . Recommended daily dosage is 30 to 40 grams.. Despite all the faults of this beverage, it gets a definite “plus” from oncologists. Researchers found out that daily consumption of caffeine drinks reduced cancer development by 16%. To prevent prostate cancer doctors recommend drinking coffee every day. Three to four cups of coffee per day reduced risk of colon cancer by 24%. Women willing to protect themselves from endometrial cancer have to drink two cups of coffee a day. There is evidence, however, that coffee consumption may slightly increase chances of breast and lung cancer, but there is no unified opinion. Some experts believe that cancer is caused not by the beverage itself but accompanying habits like sweets consumption and smoking. Legumes are rich in phitoestrogen that is proven to fight lungs and breast cancer. They also a good source of fiber. Scientists found that eating beans on a regular basis reduced risk of cancer by 40%. Bananas are another product for cleansing and tumor prevention. Bananas are also rich in sugar, which means that they are a great source of energy, both physical and mental. Bananas are rich in vitamin K. It is necessary to provide kidney functioning, bone formation and digest calcium and vitamin D.
KYIV — On March 25, 2010, at the Kyiv Cave Monastery the first session of the Inter-Conciliar Presence Commission for Counteracting and Overcoming Ecclesiastical Schisms of the Russian Orthodox Church was conducted. The commission was chaired by the primate of the Ukrainian Orthodox Church-Moscow Patriarchate (UOC-MP), Metropolitan Volodymyr, reports the web site of the UOC-MP. - oikonomia and akriveia in recognition of the Sacraments performed in schismatic communities. Metropolitan Volodymyr noted that the first session of the committee is being held in Kyiv not only as “an expression of respect for the ancient capital of the Kyivan Rus’…It is also a response to the urgent need of the Ukrainian Orthodox Church. For the problem of church schisms is especially urgent in Ukraine,” he noted. The hierarch also noted that the UOC-MP proposes numerous initiatives to overcome the schisms. The head of the Department of External Church Relations of the Russian Orthodox Church, the deputy head of the committee Metropolitan Ilarion of Volokolamsk, noted that today in Ukraine a favorable situation is emerging for overcoming the schism. He said that the political reasons causing the spread of the schism are becoming the past. The committee decided that the results of its work can be commented on only by the head and the deputy head of the committee or persons authorized by them. The Second Coming of Christ and the resurrection of the dead are closely connected with the coming judgement, the so-called future tribunal. All men will stand before the dread judgement seat of Christ. In the Creed we confess that Christ will come with glory "to judge the living and the dead". This conviction constitutes the central teaching of the Church, as we shall verify in what follows. In all the assemblies for worship and in the Divine Liturgy there are words about presence before the throne of God. The priest prays: "For a Christian end of our life, painless, peaceful and unashamed, and for a good answer before the dread judgement seat of Christ, we beseech Thee." In what follows we shall have an opportunity to emphasize the fact that although we use images of a tribunal, the judgement will have more the character of a revelation and manifestation of the spiritual state of the person. Moreover, all the images used have a symbolic character. Christ and the saints, as we shall see, use such images to make people understand pictorially that dreadful day when they will see the reality. Consequently, unless we do away with the images, we must enter into their essence and inner content. According to St. Symeon the New Theologian, "What we have to say about the judgement is difficult to explain because it is not about present and visible things but about future and invisible ones". The present things are seen, the future is invisible, and that is why purity of nous, much prayer and much zeal are required. In Holy Scripture a great deal is said about the coming judgement, which is a starting-point for eternal life and eternal Hell. Christ's parables about the Ten Virgins, the tares and the weddings are well known. It is not easy or possible for us to analyze all these elements. However, we shall set down the most significant ones. Christ assured the people that He Himself would judge the people in the age to come. "For the Father judges no one, but has committed all judgement to the Son” (Jn. 5:22). And this is not independent of the fact that Christ is the prototype of man, since man is an image of Christ, but also the rebirth of man comes through Christ. He became man, suffered, was crucified, rose again and was taken up. He, then, will be the judge of men. "And He commanded us to preach to the people and to testify that it is He who was ordained by God to be Judge of the living and the dead” (Acts 10:42). Also the Apostle Paul preached the same teaching on Mars Hill, when he said: "He has appointed a day on which He will judge the world in righteousness by the man whom He has ordained. He has given assurance of this to all, by raising Him from the dead” (Acts 17:31). In these apostolic passages it appears that Christ will be the judge of men. A parallel passage from the Apostle Paul is his exhortation to his disciple Timothy: "I charge you therefore before God and the Lord Jesus Christ, who will judge the living and the dead at His epiphany and His kingdom...” (2 Tim. 4:1). The Second Coming of Christ is called epiphany and kingdom, which is connected with the judgement of dead and living, that is to say, those who have died previously and those who will be living at that time. The connection of the Second Coming of Christ with the throne shows both the majesty of God and Christ's authority to judge men, but also men's fear in the face of the judgement and the judge. 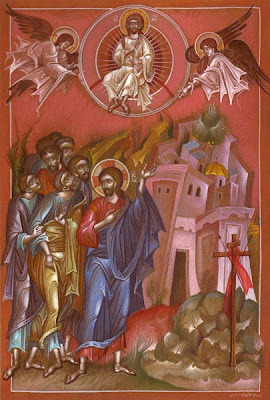 Christ used this image when he said that when he comes with the angels, "He will sit on the throne of His glory” (Matt. 25:31). The throne, which is a symbol of His glory, but also of the authority which He has over men, has its origin in the worship of the divinities of ancient times and of the god - emperor of the Romans, but also in the Old Testament, as well as in the Revelation of John. The Prophet-king David already writes in one of his psalms: "He has prepared His throne for judgement. He shall judge the world in righteousness” (Psalm 9:7-8). And there is a portrayal saying "preparation of the throne", which has been connected with Golgotha. 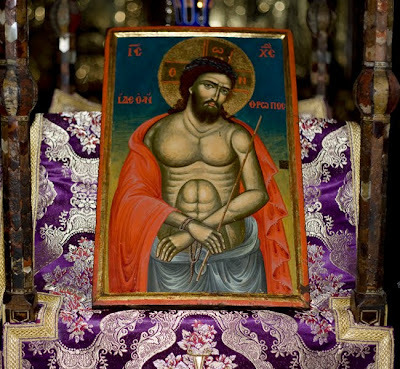 Since the eleventh century the depiction of the "preparation of the throne” has been connected with the Second Coming of Christ and the coming tribunal. The meaning of the throne, which suggests the imperial throne and the tribunal, has been closely linked with Christ's judgement of the living and the dead, and we find it in many passages in the epistles of the Apostle Paul. Referring to the fact that we are all suppliants, servants of Christ, and we should not judge others, he affirms: "For we shall all stand before the judgement seat of Christ” (Rom. 14:10). The Christians of Rome, to whom this is said, had knowledge and experience of what the emperor's and the judge's throne meant. He also says the same thing to the Christians of Corinth: "For we must all appear before the judgement seat of Christ, that each one may receive the things done in the body, according to what he has done, whether good or bad” (2 Cor. 5:10). Since the final judgement of men will take place, and since the real Judge is Christ, Christians should avoid judging their fellow men, their brothers. The Apostle Paul writes: "He who judges me is the Lord... who will both bring to light the hidden things of darkness and reveal the counsels of the heart” (1 Cor. 4:5). In this passage, apart from the fact that it says that Christ is the true judge of men, at the same time the way in which He will judge is also presented. He who is the true light, by His appearing will reveal all the hidden things of darkness and will manifest all the wishes and desires which there are in the heart. In another place the Apostle Paul refers to the judgement which will come from the saints. He writes: "Do you not know that the saints will judge the world?” (1 Cor. 6:2). This passage shows again the way in which the Judgement will take place. It is not a matter of a worldly tribunal where the accusation will be pronounced, and there will be witnesses for the accusation and for the defence, and then the decision will be heard. The image of the future tribunal is taken from the judiciary, but its content is different. The appearing of the Sun of Righteousness will reveal everything, all will be stripped of their outward distinctions and there will be a comparison of saints with sinners. This is the meaning of the saying that the saints will judge the world. We shall look at all these things in what follows when we speak of how the Fathers interpret the scriptural passages which refer to the future judgement. Christ's parable of the wedding is well known. When the king came to the place where those invited to his son's wedding were gathered, he saw one person who was not wearing a wedding garment. Then he reprimanded him, saying, "Friend, how did you come in here without a wedding garment?” He commanded that he be bound hand and foot and cast into the outer fire, where there will be "weeping and gnashing of teeth” (Matt. 22:1-14). According to the interpretation of this parable by St. Gregory Palamas, the wedding refers to the Second Coming of Christ and to the Kingdom of Heaven. The entry of the King, who is God, is "the manifestation at the time of the future judgement". The garment of the spiritual wedding, which was indispensable for those invited, was virtue. And naturally when the Holy Fathers speak of virtue, they mean the fruits of the Holy Spirit, and not a superficial human virtue. He who lacks the garment of virtues will not only be unworthy of the Kingdom of God, but also will be punished. Not only the soul but also the body will prove to be unworthy of that bridal chamber, if it has not lived in self-control, purity and sobriety. The punishment for not having a wedding garment is connected with his removal from the dwelling-place of those rejoicing and from close association with them. It is basically a question of separation from God and not sharing in His grace. The fact that his hands and feet are bound, by order of the King, refers to a person's constriction by successions of sins which occur in this life. The unbearable pain and great suffering which the person feels when he commits them in this life will continue in the next life as well. The fact that he is cast into the outer fire indicates "his having become far from God because he did not do deeds of light here". Inasmuch as he did not practice deeds of light in this life, in that day he cannot participate in the light. Saying that he is separated from God means this. The darkness into which he will be taken is synonymous with the inextinguishable fire, the unsleeping worms, the weeping and gnashing of teeth. All these things point to "the impending unbearable sufferings touching both soul and body” and the mournful cries of useless and perpetual regret. That is to say, they will repent of the deeds they have done, but it will never be possible to be comforted, for the repentance to be brought to an end. The passage about the coming judgement is matchless and most expressive, and since it is a teaching of Christ, it is authentic through and through. No one can doubt it and wish to be called Christian. And this because what is said about the judgement comes from the indisputable mouth of Christ (Matt. 25:31-46). We shall not quote the text of the Gospel which describes the coming judgement, but we shall refer to the interpretation given by St. Gregory Palamas, and within the interpretation we shall also look at the related events. When Christ has come in glory and with His angels, He will separate the people, as the shepherd does, and the righteous will be placed at His right, and the unrepentant sinners at His left. The judgement will be based on the love or hate which they have shown towards their brethren who found themselves in difficult circumstances. The question is, why is charity the only criterion? And is it altogether right that people should be saved by charitableness, while some people are condemned to everlasting death simply because they did not show sympathy to their fellow men? St. Gregory Palamas makes a wonderful analysis of the passage, out of the whole experience of the Church. He says that the righteous will enjoy the Kingdom of God, not simply because of a small deed of charity which they have done, but because of their whole reborn existence. This is shown by three things. First, by the fact that they are called sheep. By this term he shows that they are righteous, gentle, forbearing, and walk the level and trodden path of the virtues, that is to say, they have followed Christ, who is the real Shepherd of men. And not only have they followed him but they have become like Him, who is the lamb of God. This means that throughout their lives they kept the commandments of God, but also that they were always ready "for the death beyond the good". Some of them are sons of God because they are guardians "of the mystical rebirth from God” and others are paid workers, for they have acquired grace once more by the sweat of repentance and humility. Secondly, the righteous have in their lives lived the love which is completion of the law, it is the virtue which towers above all the other virtues and is their head. Love towards humanity is an expression of the reborn man, especially when that love is within a love for God. Thirdly, the righteous are also characterised by humility. For although Christ reminds them of what they have done, they do not feel it. Humility is connected with love. The righteous feel unworthy of praise. Therefore, by all these characteristics the righteous show that they are united with God, spiritually reborn. The opposite happens with the sinners, who will stand at Christ's left. They are not condemned simply for the omission of a few small acts of love and charity, but for the opposite reasons for which the righteous were praised. First, he calls the sinners children, "as being impudent and undisciplined and going down the precipices of sin". Just as goats go up to high places, the same is observed in sinners. The unrepentant sinners have not acquired the prudence of Christ, they have not become sheep that are led by the true shepherd, but they preferred the disordered and impudent life, they have not made themselves like the lamb of God, which means that they did not possess the character of sacrifice for their brothers. Secondly, they did not show charity and love, which means that they had not been reborn of the Holy Spirit. At the same time they showed hate. Just as love is the fullness of all the virtues, so also hate and deeds of hate, the unsympathetic manner, and the uncommunicated opinion is "the fullness of sin". The sinners are judged by their misanthropy, because all evils follow from this. Thirdly, sinners are distinguished by their arrogance, which is connected with an unsympathetic manner. And then, when they are reproached for their lack of sympathy, instead of humbly drawing near, they contradict and justify themselves. It shows that misanthropy has become their nature. Just for this reason the righteous enter the Kingdom of Heaven, but the sinners are sent to Hell. Analyzing this point, St. Gregory Palamas says that the righteous enjoy eternal life: "They have life and they have it abundantly". "Life” refers to coexistence with God, and "abundantly” means that they are sons and inheritors of the Kingdom of God, that is to say they share the same glory and kingdom. Sinners have no share of God. At the same time they will coexist with the demons and will be consigned to hell fire. St. Symeon the New Theologian, interpreting this passage, says that Christ is referring to something deeper and more essential. The fact that He reproaches the sinners, since He was hungry and they did not feed Him or He was thirsty and they did not give Him water to drink, means that He was hungry for their salvation and they did not measure up to it. Through his creation by God, man is in His image and likeness, and through his coming into the Church, which is the Body of Christ, he is closely connected with God. Likewise through the sacraments he becomes a member of the Body of Christ. So when he does not live in accordance with God's commandments, it is as if he was letting Christ be hungry and thirsty. AnalyZing this idea, St. Symeon says that Christ was hungry for man's conversion and repentance and man did not satisfy His hunger. He thirsted for man's salvation, and man did not give Him a chance to taste it. He was bare of virtuous deeds, and man did not clothe Him with them, for when the Christian as a member of Christ lacks these virtues, He is as if left naked with His limbs exposed. He was shut into the narrow, filthy, dark prison of man's heart, and man did not wish to visit Him or bring Him out into the light. The Christian knew that it was because of his indolence and inactivity that Christ was ill, and he did not help Him by good works and acts. Christ really desires the salvation of man, whom He created, and through love He has endured many sufferings for his salvation. At the same time, through holy Baptism the Christian is a member of His body. And when he does not measure up to this desire of Christ and remains in the darkness of sin, then he condemns himself. It is impressive when he says that he was in the narrow, dark and filthy prison of the heart. Actually through holy Baptism the grace of God remains in the depth of the heart of man. But divine grace is hidden by the sins which we commit after our entry into the Church. Thus Christ is as if imprisoned in the heart. Man's Hell will be precisely this. 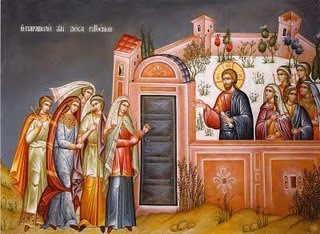 Connected with this is St. Gregory Palamas' interpretation of Christ's Parable of the Ten Virgins. 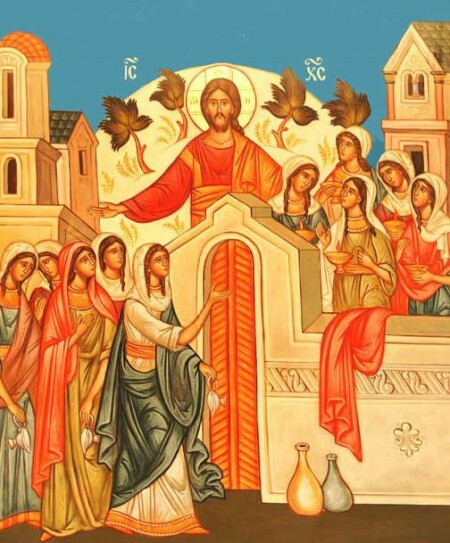 According to the parable, the five wise virgins who had oil with them along with their lamps, went in to the wedding, while the five foolish virgins, who had no oil, were not found worthy of this great joy (Matt. 25:1-13). According to St. Gregory Palamas, entrance into the Kingdom of God is connected with virginity, not simply of the body, but properly of the soul. Everyone can experience this virginity. Virginity is practised by asceticism, self-control and the various struggles of the virtues. But hands too are needed to hold the lighted lamps, as well as oil. The hands are the active life of the soul, that is to say repentance, the effort to purify the soul. Lighted lamps are the right nous in which there will be that diligent spiritual knowledge which rests on the active life of the soul, is consecrated through a life in God and is kindled by the illuminations which come from Him. It seems here that it is a question of purity of heart and illumination of the nous. Noetic prayer, unceasing communion with God, is linked with the illuminations which come from God. But there is need for plenty of oil, which is love, the summit of all the virtues. Judging from our analysis of patristic passages referring to the future tribunal, it seems that the coming judgement is not a typical legal process but is Christ's expression and revelation of man's inner spiritual condition. He who is reborn of the Holy Spirit will then appear clearly to all men; his kinship with Christ, who will shine radiantly, will be revealed. And he who is not reborn, and especially he who has a dark and unenlightened nous, will be revealed to all men, because he will have no share in God. Just as the appearing of the sun throws light on all things, so also the coming of the true Sun of Righteousness will be a real revelation of the inner dispositions and desires of men. We shall see this put more expressively, especially in the teaching of St. Symeon the New Theologian. First it must be underlined once more that Christ is the Kingdom of Heaven. He is the true light which will shine at His coming to judge men. St. Symeon the New Theologian, referring to Him, says: "Thou Kingdom of heaven, Thou Christ, earth of the meek, Thou Paradise of verdure, Thou divine nuptial chamber, Thou ineffable banquet hall, Thou table open to all, Thou bread of life, Thou unprecedented beverage...." He adds that Christ, who is the unapproachable sun, will shine in the midst of the saints, and then all will be illuminated according to their faith, practice, hope, love, purity and illumination, which comes from His Spirit. The different mansions which will exist in Paradise will be reckoned as "the measures of their love and their vision of Thee". Therefore according to his spiritual purity a man will radiate the brightness of God. The coming of the Sun of Righteousness among men will reveal everything. This is also how the Apostle Paul's saying is understood: "...your life is hidden with Christ in God. When Christ who is our life appears, then you will also appear with Him in glory” (Col. 3:3-4). Another saying of the Apostle Paul is parallel: "Anything shown up by the light will be illuminated; and anything illuminated is itself a light” (Eph. 5:13). All who have accomplished divine things in their lives will be in the light, and those who have done depraved things, as St. Symeon the New Theologian teaches, "will be in the darkness of punishments” and there will be a great gulf between them. Thus at His appearance Christ will reveal men's way of life, their whole being, what is at the depth of their heart. This revelation is eternal life and eternal hell, because the first is participation in God, and the second is connected with non-participation and non-communion with God. What will happen in the next life, at the coming Judgement, is also going on already. St. Gregory Palamas says that Christ is the Sun of Righteousness, the never setting, true and eternal light. The souls of the saints are in it now, and in the future life their bodies will be in it as well. Those who do not repent now, although they enjoy the physical, sensible sun and are comforted by the other creatures of God, are living outside the light. Then in the future life they will find themselves very far from God and will be delivered over to eternal Hell. Therefore what will be in the next life is experienced already now. So St. Symeon the New Theologian asks God to give him His grace already now, as a pledge, that he may enjoy it in the coming life: "Grant me henceforth to serve Thee, my Saviour, and to receive Thy Divine Spirit, pledge of Thy kingdom and hence to enjoy Thy banquet, Thy glory, that I may see Thee, O my God, unto the ages of ages". This is a concern of all the saints. They do not fear death, but they fear what will happen after that, especially at the Second Coming of Christ. They are not so much concerned about the time of their death as about the way in which they will depart, that is to say what will be their condition at that hour, for that will have eternal consequences. St. Symeon says that he has a fear and horror of dying with a blind nous. Even if a person receives sensible light, the light of the eyes after his resurrection, it is of no use if he has no spiritual eyes to see God. In such a case a man who has come out of the dark dwells in darkness again and will be separated from God unto the ages. Thus the appearance of God as sun will reveal the spiritual nakedness of a man. Now we have the possibility of concealing our spiritual nakedness by various means, but then all will be revealed. In one of his Catechetical Discourses St. Symeon the New Theologian presents the truth that it is not a matter of a man's profiting from all the material, sensory and mental gifts which he happens to have in his life. He puts many questions, such as where will be the sumptuous dinners, the various costly costumes, the arrogance of those in authority, and so forth? I would like to focus attention on his saying that then the nakedness of man's soul will be revealed. He asks: "Where will be the great names? Where the holiness that others attribute to us or we attribute to ourselves? Where will those be who now flatter and deceive us, who call us holy and wipe off the chaffing of our feet?" Many of us have the illusion that we are holy, that we are full of virtues, since there are also many flatterers who cultivate this self-esteem. But then all will be revealed, and all men will see our nakedness. There are many things in this life which conceal the blindness of our hearts and the nakedness of our souls. Many times this happens through the wisdom and knowledge of the world. We think that we are something, while essentially we are dead to God, we have nothing good. Then all will be revealed. St. Symeon the New Theologian asks: "Where will be the pretended prudence of those who are honoured for their knowledge and wisdom of the world? Where our presumption and illusion that we are something, though we are nothing?" This is precisely why great fear and trembling will then seize those who are slack, careless and slothful. So, blessed is the man who lives in repentance and sees himself "lower than every creature", because "then he will stand at His right hand in glorious apparel". Only those adorned with the grace of God will stand at the right hand of the throne of God. When St. Symeon speaks of clothes and nakedness, he does not mean only the existence or lack of virtues, but the Holy Spirit, the very light of God. Then the night will become as light as the day; every house and cave, even heaven and earth will be removed, and thus all who have not put on Christ, that is to say "those who have not received the light... and previously been in it and become light", then will appear naked and will be filled with much shame. Every act, bad or good, every thought, every memory that has arisen in us from our very birth till our last breath will appear. All will be revealed before men. It is impressive here that those who appear naked will be chiefly those who have not seen the light in this life and have not become light. In that case the problem is not moral, but spiritual, ontological. The nakedness is related to not having participated in the light in this life. Therefore St. Symeon recommends that they enter the narrow gate through penitence "and see the light that is within it” already in this life. The vision of the uncreated light is not a luxury of the spiritual life, but the essence and purpose of it. In the teaching of St. Symeon the New Theologian something else appears as well which is connected with what has been said. When we keep the commandments of God, we are brought to the light. Therefore not to keep the commandments takes us away from the light and commits us to darkness. So in reality the commandments of God will condemn man. The word of God is living and abides for ever. The neglected word of God "will stand in the presence of each one of us then and condemn whoever has not observed it". The Judgement will be by the commandments of God, which will test the faithful and unfaithful. In reality the unfaithful will be self-condemning for the deeds which they have done. Then a man will not get help from human wisdom and knowledge nor from eloquence of words nor from money and earthly possessions. In the Biblico-patristic tradition we also see another way in which men will be judged in the future Judgement. It is said that men will be judged by the saints. We find this already in Christ's words to His disciples: "Assuredly I say to you, that in the regeneration, when the Son of Man sits on the throne of His glory, you who have followed Me will also sit on twelve thrones, judging the twelve tribes of Israel” (Matt. 19:28). The Apostle Paul maintains the same thing. Reproaching the Christians for turning to worldly tribunals to solve their various affairs, he says: "Do you not know that the saints will judge the world?” (1 Cor. 6:2). But how is this judgement known by the saints? St. Symeon answers this point as well. He says that every man, finding himself faced with eternal life and that unutterable light, will see "one who is like him and will be judged by him". All men who have lived on earth in different ways of life will be judged by other men who have lived with them in the same conditions of life. And the ones lived in accord with the will of God, the others rejected His commandments. This means that there can be no excuse that the conditions of life were difficult and that therefore they could not live according to God's ordinances. Thus fathers will be judged by fathers, relatives and friends by relatives and friends, brothers by brothers, the rich by those who were rich, the poor by those who were poor, the married by those who have excelled in the married state, etc. When sinners look at sinners who have repented, whoremongers who have not repented see penitent whoremongers, when the kings see holy kings, etc, and in general, when each person sees that someone like himself, who had the same nature, the same hands and eyes, the same conditions of life has been saved, this will be a self-condemnation, he will have no arguments and no excuses. St. Symeon's words which I shall quote exactly are very characteristic: "Thus each of us sinners will be condemned by each of the saints, and likewise unbelievers by those who believe, and sinners who have failed to repent by those who perhaps have sinned more but have fervently repented". It is terrible at that hour for someone to see in the glory of God "him who received the tonsure with him standing on the right hand, the one who ate and drank with him, his contemporary, his colleague” being completely surrounded by great glory like Christ, while he himself is the opposite. Then he will be unable to speak at all. This is just what it means that we shall be judged by the saints. We will be censured by their penitence and by the fact that they lived under the same conditions and yet they have been shown to be recipients of the Holy Spirit, imitators of Christ in every respect. We shall not be able to justify ourselves at all. 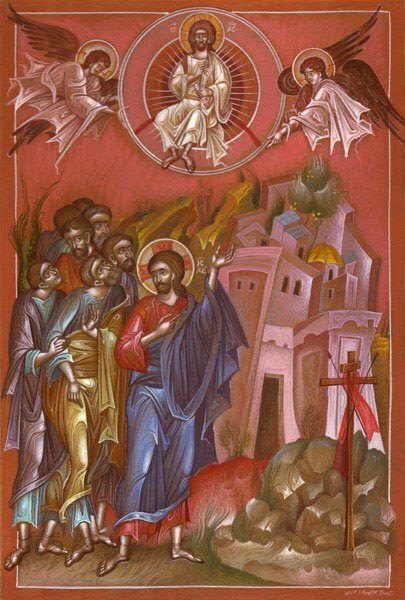 Another point which we see in the teaching of St. Symeon the New Theologian is that in the future Judgement those who have not received the Holy Spirit will be deprived of eternal life. Not only those who have sinned will be deprived of Paradise. Someone may not have sinned but if he has no virtues, which are the fruit of the Holy Spirit, he will be deprived of eternal life, he will be expelled from Paradise and will go to Hell. 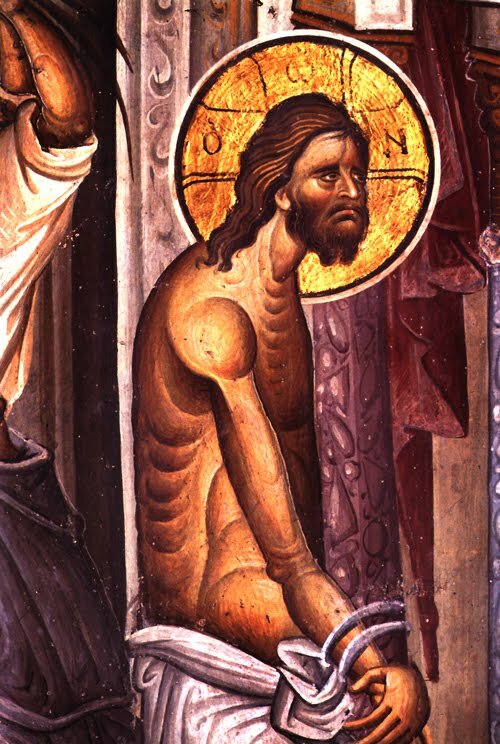 What St. Symeon said is characteristic: "Even if he has no sin but if he is without virtues, he stands naked". So even if we have not committed sins, we shall prove unworthy of the glory of God if we have no virtues. He goes on still further to emphasise that virtues are not enough, but the glory of God, the grace of God is also needed. This means that the virtues are not simply achievements of man's individual effort, but fruits of the Holy Spirit. Just as Adam, because he did not keep the commandments of God, was stripped of divine glory and deprived of Paradise, so also he who will be found "truly stripped of divine glory” will be deprived of the paradise of the kingdom of God and the heavenly bridal chamber. What one needs in order to enter the Kingdom of God at the Second Coming of Christ is the participation of the Holy Spirit. The Judgement Day is terrible because, apart from other things, one will learn "that those who do not have the Holy Spirit shining like a torch in their spirit and dwelling inexpressibly in their heart are committed to eternal darkness". Therefore the repeated exhortations of St. Symeon the New Theologian, who is rightly regarded as the “theologian of Light”, are to keep away from evils and passions, to free the heart from every impurity, to acquire a pure nous, participate in divine grace, enjoy the divine Light. When a man lives in this way, then when Christ comes, there will be revealed and expressed an ineffable joy. He will participate in God, while the sinner will see God, but that will be self-condemnation and self-punishment, and he will experience the caustic energy of light. In conclusion let me say that Christ will come into the world again, and this will be His Second Coming. The whole creation will be renewed, the dead will rise again, all who are alive then will be changed, and the judgement of men will follow. All these things are truths which will happen in any case, but we do not know the day and hour when they will happen. Therefore Christ exhorts us always to be ready. Just as happened with Noah's flood, where men were "eating, drinking, marrying and giving in marriage” until Noah entered the ark and then all understood that the flood had come, the same will happen at the appearing of the Son of Man. So Christ says: "Watch, therefore, for you do not know at what hour your Lord is coming" (Matt. 24:37-42). And at the end of the Parable of the Ten Virgins Christ said: "Watch therefore, for you know neither the day nor the hour in which the Son of Man is coming". Jacob’s son Joseph is such an incredible type of Jesus that it is not possible to list even half of the examples here. As the story of Joseph’s life progresses, he is sold by his 10 brothers for 20 pieces of silver. Jesus was also betrayed by one of the 12 disciples, Judas Iscariot, and sold for 30 pieces of silver. Preceding that event Joseph was stripped and thrown into a pit whilst his brothers sat down to have a meal. At the scene of the crucifixion Jesus was stripped before they gambled for His clothes and sitting down they kept watch over him. The Midianites then took Joseph to Egypt. In Matthew Chapter 2 Joseph is warned in a dream to take the child and His mother to Egypt which fulfils the prophecy of Hosea 11:2, "Out of Egypt I have called my Son." When Pharaoh’s officer purchased Joseph as a slave from the Midianites he observed that ‘the Lord made all he did prosper in his hand.’ (Genesis 39:3) In Isaiah 53 it is prophesied about the Messiah: "And the pleasure of the Lord shall prosper in His hand." Like Jesus, Joseph is falsely accused and faces persecution. 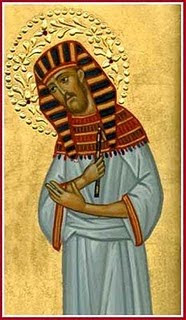 When Pharaoh esteems Joseph because of his ability to interpret dreams, Joseph remarks that "It is not in me, God will give Pharaoh an answer of peace." This can be compared with Jesus words: "The Son can do nothing of Himself, but what he sees the Father do." (Genesis 41:40) In John Chapter 15 Jesus said He is the True Vine and "without me you can do nothing." Incidentally events occurred in Joseph’s and Jesus’ life when they were thirty years of age. Before the famine occurred in Egypt and the surrounding nations, God gave Joseph wisdom and time to prepare. Joseph made provisions for seven years and people from all over the earth came to buy grain. Jesus is the Bread of Life (John 6:35) and Joseph opened all the storehouses. Note how this mirrors the prophecy of Malachi 3:10, "Bring all the tithes into the storehouse that there will be food in My house, if I will not open for you the windows of heaven." On Holy Monday the Church commemorates Joseph the Patriarch, the beloved son of Jacob. A major figure in the Old Testament, Joseph’s story is told in the final section of the Book of Genesis. (chapters 37-50). Because of his exceptional qualities and remarkable life, our patristic and liturgical tradition portrays Joseph as a prototype, or image of Christ. The story of Joseph illustrates the mystery of God’s providence, promise and redemption. 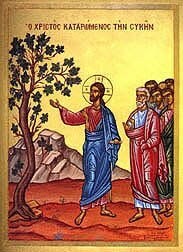 The Church also commemorates on Holy Monday, the event of the cursing of The Fig Tree (Matthew 21.18-20). “The fig tree is symbolic of Israel become barren by her failure to recognize and receive Christ and His teachings. The cursing of the fig tree is a parable in action, a symbolic gesture. Its meaning should not be lost on any one in any generation. Christ’s judgement on the faithless, unbelieving, unrepentant and unloving will be certain and decisive on the Last Day. This episode makes it clear that nominal Christianity is not only inadequate, it is also despicable and unworthy of God’s kingdom. Genuine Christian faith is dynamic and fruitful. It permeates one’s whole being and causes a change. Living, true and unadulterated faith makes the Christian conscious of the fact that he is already a citizen of heaven. Therefore, his way of thinking, feeling, acting and being must reflect this reality. Those who belong to Christ ought to live and walk in the Spirit; and the Spirit will bear fruit in them: love, joy, peace, patience, kindness, goodness, faithfulness, gentleness, self-control (Gal. 5.22-25). Spiritists of our day accept every manifestation from the spiritual world as though sent by God, and immediately they boast that God has been "revealed" to them. I knew an eighty year old monk whom everyone respected as a great spiritual director. To my question: "Have you ever in your life seen anything from the spiritual world? ", the monk answered me, "No, never, praise be to God's Mercy." Seeing that I was astonished at this, he said, "I have constantly prayed to God that nothing appear to me, so that, by chance, I would not succumb to pride and receive a fallen devil as an angel. Thus far, God has heard my prayers." This recorded example shows how humble and cautious the elders were. The devil, clothed in the light of an angel, appeared to a certain monk and said to him: "I am the Archangel Gabriel and I am sent to you." To that, the brother responded, "Think! Were you not sent to someone else, for I am not worthy to see an angel?" The devil instantly became invisible and vanished.